Downloading videos from ABC News gives you the chance to view all your favorite shows at any time. However, you cannot download them directly because of the security layers. Although third-party video downloaders provide the chance, not all are capable of downloading the videos. If you are in search for a program that is easy to use and download ABC News videos, then consider iTube Studio. iTube Studio is a video downloader capable of downloading videos by surpassing all the security layers installed by ABC News video sharing service. And this ABC News downloader is way ahead in terms of operation than any other video downloader out there. Additionally, the features, which are as follows, make it a worthy and proficient software package for all your requirements. Downloads videos, including HD and UHD videos from over 1,000 video sharing services. Converts videos to MP3 and other audio file formats directly from YouTube. Converts the downloaded video files to the output that you wish. Records videos directly from iTunes, Hulu, Netflix, and other dedicated video portals. 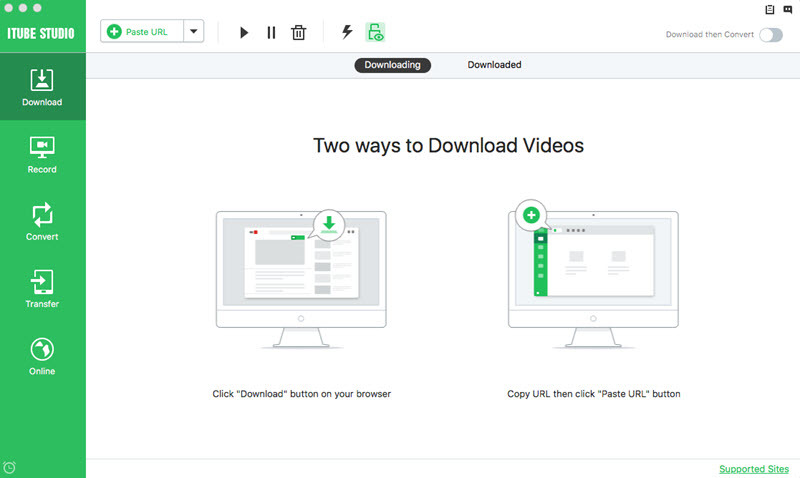 Allows you to organize the downloaded videos as well as those present on your Mac with ease. Install the ABC News Downloader after downloading it. Drag the downloaded file to the Applications to install, which takes about a few minutes. Launch the program, you will notice three different methods to save videos from the main interface as shown below. You can download ABC News videos directly from the browser. You can use Safari, Firefox, or Google Chrome to browse the ABC News website. After you choose a video, you will notice a “Download” button appearing on the top corner of the video. You can press the button, which opens a smaller window with options to download the video in required resolution. Once selected, the program will then begin downloading the ABC News video. Another method to download the video is by copying and pasting the video URL link in the program’s “Paste URL” button. Once you copy and paste the link in the button, the program will begin to download videos from ABC News. Note: An advantage of this ABC News Downloader is that it allows you to download multiple videos from ABC News. You can even schedule multiple downloads using the task manager, where you can pick “Shut down” or “Sleep” option for your Mac. Once the scheduler completes the list, the computer will shut down or sleep according to the selected choice. 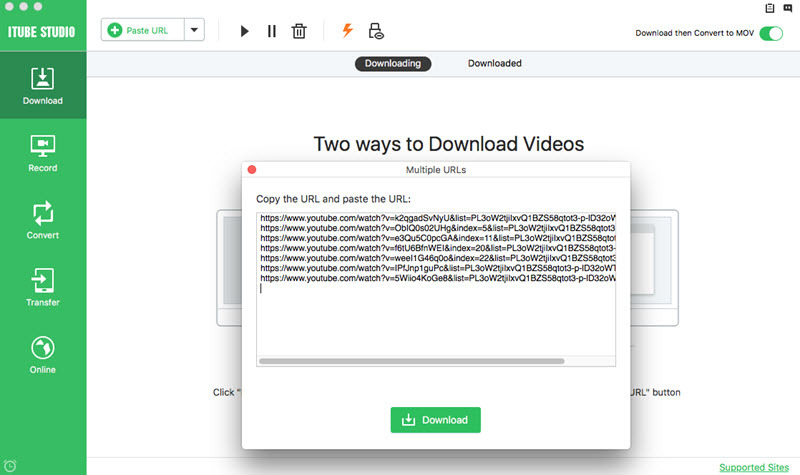 As you can see, using iTube Studio, you can begin downloading all your favorites onto your Mac in simple steps, convert the videos, and organize them with ease.